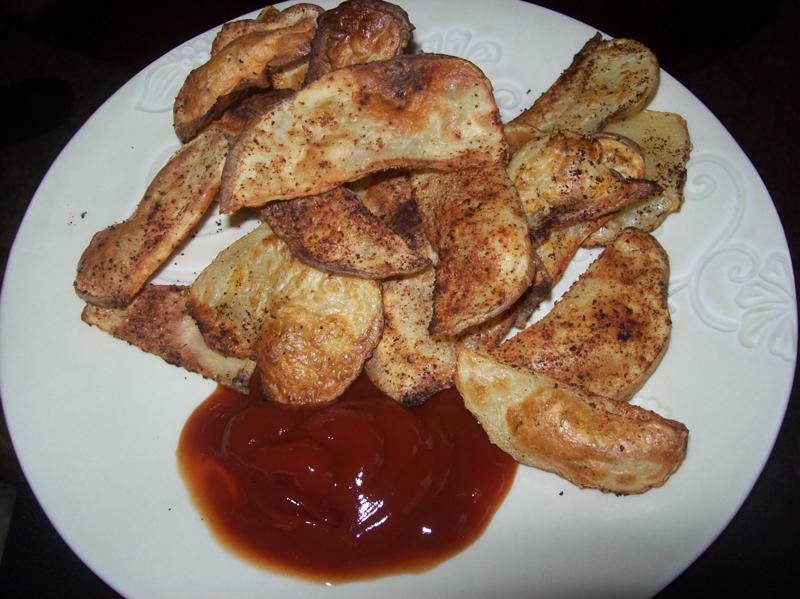 This fry recipe is super easy and tasty! I took three large potatoes and sliced them up. I added black pepper, onion powder, garlic powder, and chili powder. I sprayed a pan with non-stick spray and baked in the oven at 400 degrees for about 30 minutes. You have to flip them over after about 15 so they don't stick and so that they can brown on both sides. They were amazing! They are way better for you than other fries because you are not deep frying them or adding any oil. Oh YUM. I love love love homemade fries. Thanks for the recipe! These do look great. Garlic is also one of our staple spices we use for cooking, so this would surely be a hit at our house. Thanks for stopping by my blog and following... I am also a new follower of yours! I'm going to make those right now! I was looking for an afternoon snack and those some fabulous!!! What a great recipe !! I love french fries. What a great way to fix them.